Erm, what happened to March? Where did it go? Who stole it from me? I want it back! Actually, no I don't. We have windows and carpets going in at the new house next week and I don't want to wait another four weeks. So, as it's the beginning of April, we have a new Challenge over at Some Odd Girl. 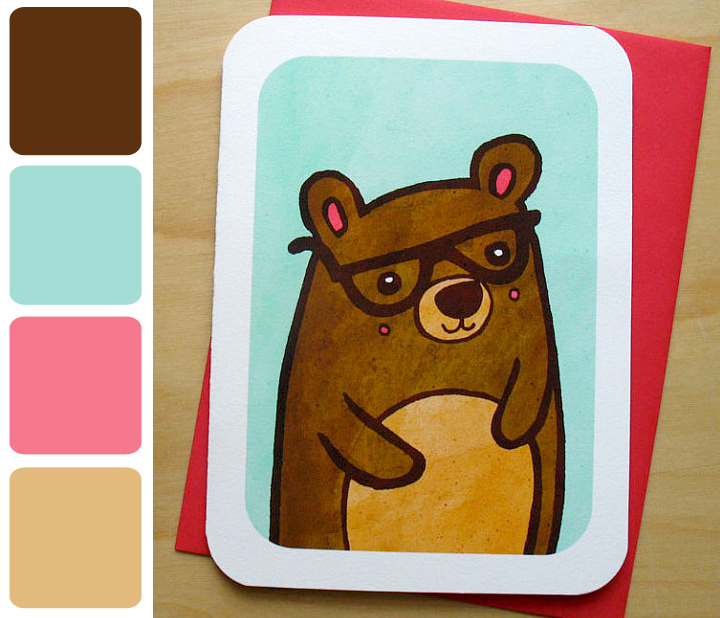 Just in case it's still a little early in the day for you, it's a rather fabby colour combo! That said, when push came to shove, I did have to scratch my Fluffie little head for a while. I love these colours, but would never think to put all four together in one place. Take a little looksie at the totally awesome cards The Odd Girls have created over at Some Odd Girl, you'll be itching to play along. This is so great . I love this little combo. Fabulous card Faye,fab colouring of the image and I like the colours, glad to hear everythign is going well. Lovely cards, and nice colouring too. I don't know where March went either, it's just super quick lately isn't it? This looks stunning Faye - So elegant and your colouring is brill! 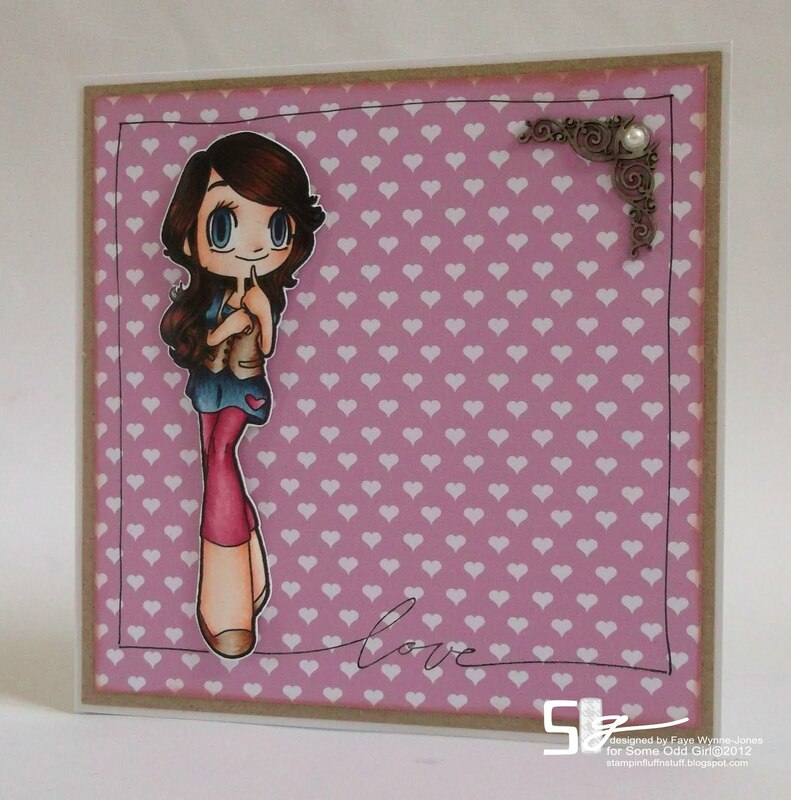 Hiya, wow things have moved on since I was last here, how do you find the time for cards and blogs!! hellooooo honeypie. i LURRRVE the simplicity of your card - fer serious! it's pretty and understated and Mae in those colours just freaking POPS off the screen at me! to answer your question - i didn't use a die (though i'd use it a lot if i had one!) for the circle. it's a chipboard Thicker! Beautiful card, Faye! Love the simplicity of it. I'm with you but the colours look amazing together!!! Great card, love the image. ps. love playing with the little cat widget making it jump up to catch the mouse. lol, yeah, simple things make me smile. Good luck with the work, but remember, stay away from the chainsaw! I'd like to know who hijacked February too!!! Hugs Muver. Ok, here is the deal. I neeeed to see more pictures of your home cause I am so excited for you but you darn well better not cut your leg off cause I am clear over here in the states and CANNOT fly over to bandage you up! But lordy I wish I could!